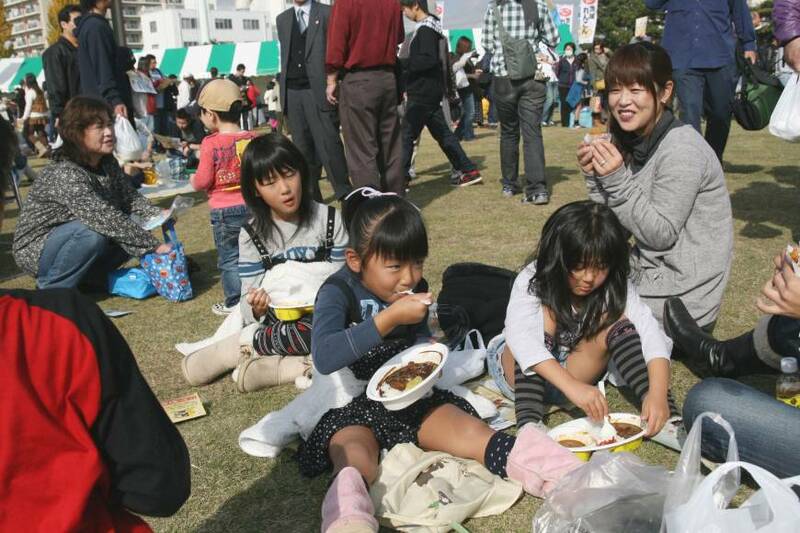 Spice of life: Families enjoy various curries at the Tsuchiura Curry Festival. When the world’s largest Zeppelin made a stop in Tsuchiura, Ibaraki Prefecture, during its world tour in 1929, locals prepared and served curry for the crew using the region’s famous potatoes as an ingredient. Since then, the city has been known as a curry capital of Japan, and this weekend it holds its annual Tsuchiura Curry Festival. Now in its 10th year, the festival invites vendors of all types of Japanese curry from across the country, including one serving the popular curry omelet from Furano in Hokkaido, and another from Toyama Prefecture offering Kurobe Dam curry, which has a mound of rice shaped like the region’s dam. Visitors will be able to cast their votes at the C-1 voting booth, to determine the best curry in Japan. The festival also features other gourmet dishes and specialties from around the country, such as Shizuoka Prefecture’s Fujinomiya yakisoba fried noodles and Kanagawa’s Misaki tuna ramen. Dishes using lotus roots — another speciality of Tsuchiura — will also be available. For kids, popular yuru-chara (regional mascots) from all over Japan are scheduled to join the event on Nov. 17 for a little extra entertainment and photo opportunities. 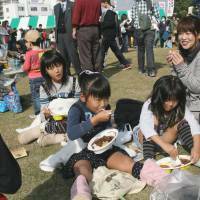 The 10th Tsuchiura Curry Festival takes place on Nov. 16 and 17 from 10 a.m. to 3 p.m. at the Kawaguchi Undou Koen, Tsuchiura, Ibaraki. Entrance is free but the price of curry plates vary. For more information contact Tsuchiura city’s tourism bureau at 029-826-1111.